I participated in the Albi Marathon in Albi, as a Championnat de France qualifier. 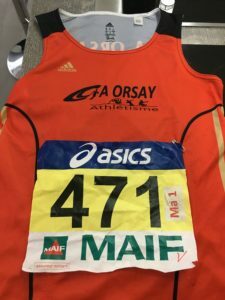 My 2017 Paris Marathon time qualified me for the annual national race, competing with the crème de la crème. The race course was easier than the Paris Marathon one, yet I was more than a minute slower this time round. As part of the ‘elite’ team, I was allowed to start slightly earlier with the other ‘elite’ runners (the race is also open to the public). 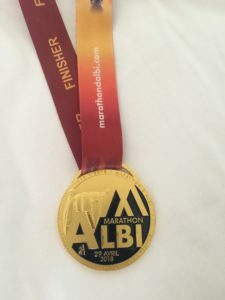 However, the adrenaline rush from the race coupled with presence of the bona fide elite runners (as compared to me: I felt like a fraud who had accidentally stepped into the realm of fast runners), resulted in a faster start than I intended. Predictably, I could not maintain that pace, and lost steam by the 10th km. Running close to 3h 43min for this. To take part in this national race, one has to be ‘licensed’ by a running club. Been part of CA Orsay for the past 2 years. D-1. 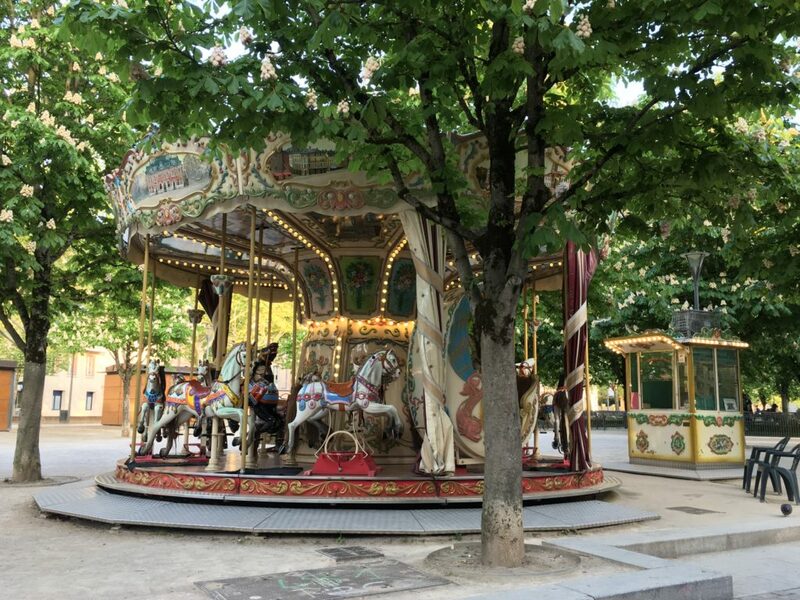 Carousel at Place du Vigan, Albi. Waiting at a pizza restaurant for our pizza/carbo-load. D-2. A bIt of sight seeing before the race. 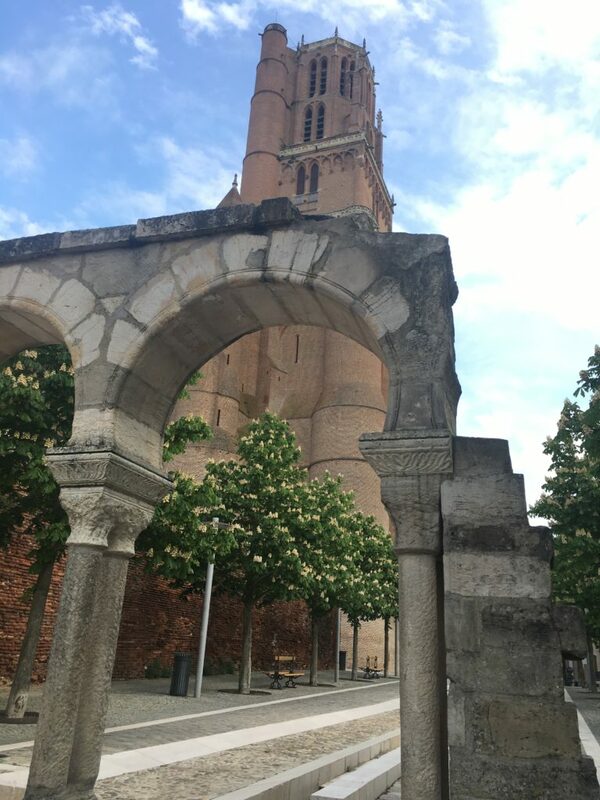 Cathédrale d’Albi. 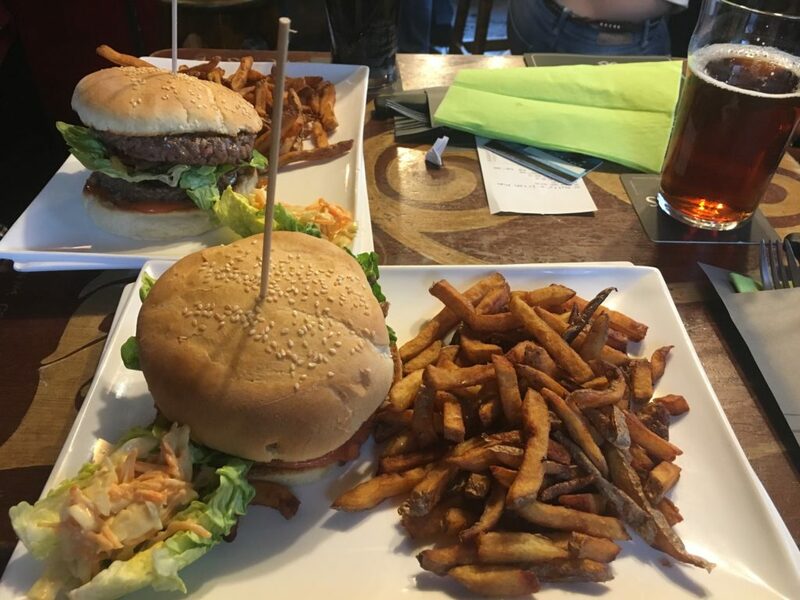 The ‘fun-est’ part of taking part in a race is the carbo re-load stage.